Use the budget manager to enter your income & expenses (mortgage payments, car loans & credit card repayments). Your surplus/deficit will be automatically calculated. Set reminders to save up for those large quarterly, bi-annual and annual bills (that can sometimes catch us by surprise). Access all SugarMamma videos to learn the tips & tricks of managing your finances and investing. 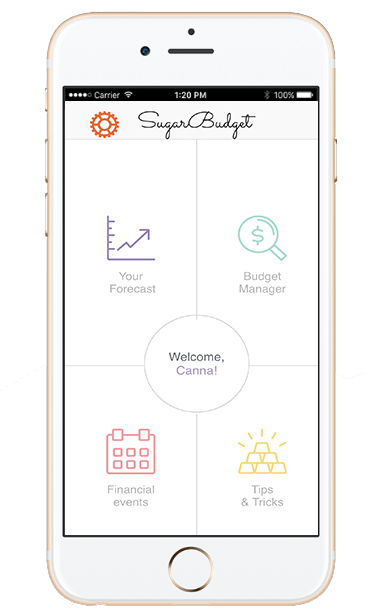 The forcast will give you a macro visual representation of your cash flow from income, monthly expenses, miscellaneous expenses and savings. Use the financial calendar to add upcoming expenses such as birthday presents, wedding gifts, Christmas shopping and more. Instructions on how much to spend, how much to save and how much to put aside for your dreams and goals. 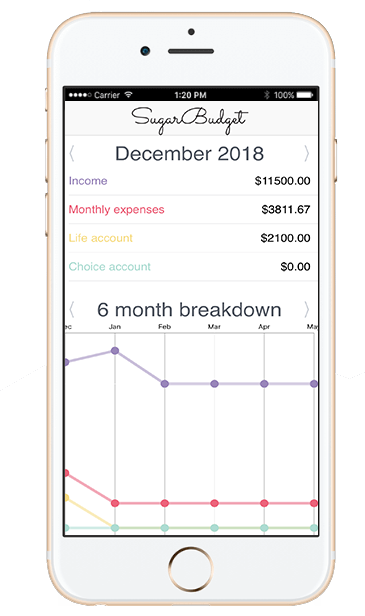 "Sugar Budget not only makes budgeting quick, easy and fun, it also empowers you to think about your goals, both personal and financial, such as paying off credit card debt, saving for a holiday or even saving for your first home. 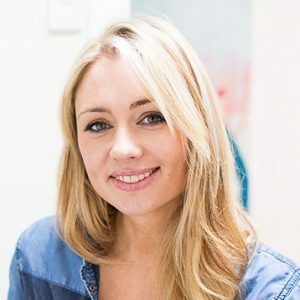 This app will get you back in control, stay in control and inspire you to have a healthier relationship with your hard earned cash and personal finances." "I love that this app lets me know how much money to allocate to each of my accounts on a monthly basis. Great user experience and beautifully designed!"